Born: 1956, Liandang County, Gansu Province. Career: Early career in propaganda and other roles in Gansu, then in Yan’an (Shaanxi) – Mao’s revolutionary base after the Long March. Held various roles in Shanghai between 2011 and 2014, and thence to Liaoning, eventually becoming Provincial Party Secretary in May 2015. 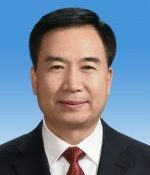 Promoted to the 19th Politburo in October 2017 and subsequently appointed Party Secretary of the politically important Guangdong Province, replacing Hu Chunhua. Prospects: A protégé of Xi Jinping, having worked for 7 years in Shaanxi (and also presumably Shanghai). Earlier in his career he was secretary to Gansu party chief Li Ziqi, a close associate of Xi’s father Xi Zhongxun. Relevance to Tibet: None directly. This is a “mini” profile, see information above right.